Few organizations are more tight-lipped about what they are up to than Apple, but news events and financial documents give us clues about how the tech giant is growing and changing. One thing we can always expect is innovative changes to iPhones and other smart devices. For now, however, the future of Apple products probably includes a lot of gradual changes. Some are saying the Apple Watch 4 is a significant upgrade in many respects compared to models 2 and 3. But to start this Apple Watch review, the tech team at Fix Apple Now has compared the basics of the Apple Watch 4 and its closest competitor, the Samsung Galaxy smartwatch. In June 2017 at Apple’s World Wide Developer Conference (WWDC), CEO Tim Cook dropped several hints about the future of Apple. This is a company with big plans, and it seems that the next couple of years may be all about laying the groundwork for some major changes to come. Let’s take a look at some of Apple’s most popular devices and what may be in store for the future of Apple. No more ports. What if the future of Apple is entirely wireless? Currently, wireless charging tends to be slower than using a wire, and sharing information over Bluetooth or Wifi may not always be possible. But if Apple can find a way to solve those issues, the future of Apple may include fully port-free iPhones. Larger screens. Apple has secured a patent for a curved OLED screen, allowing for a larger display without increasing the overall size of the device too much. This is good news, since larger screens create an easier user experience, but no one wants a phone that’s gotten too big. Improved batteries. What if an iPhone could be motion-powered? Or solar powered? There are also new battery chemistries to try out, like Lithium-Air. The future of Apple products will be bright if they can keep introducing batteries that are longer lasting and easier to recharge. Triple lens cameras. This innovation would allow phone cameras to sense 3D, which could greatly enhance the iPhone’s potential for augmented reality apps. Apple has filed for over 2,000 new patents just since the beginning of 2017, so the future of Apple may include all kinds of new technology for iPhones and their other smart devices. We’ll just have to wait to see which of these rumors turn out to be true. New processors and internal chips have made the iPad faster than many laptops. Thanks to new chips and neural networks, iPads are uniquely positioned to take advantage of advances in augmented reality (AR) technology. AR has many potential applications, from directly measuring the dimensions of a room for a painting contractor to helping a coach evaluate your free throws using motion capture technology. The first real-world applications of AR technology have already been developed, including games, entertainment programs, and even an app that will show you how IKEA furniture will look in your home before you buy it. The future of Apple definitely seems to lie in AR technology, especially for iPads and iPhones. In the long run, according to CEO Tim Cook, the iPad will start to look and feel more and more like a Mac and less and less like an oversized iPhone. The future of Apple will probably involve some impressive improvements to the iPad’s capabilities. Since it went on sale in 2015, Apple Watch has remained the best-selling smartwatch. While its fitness apps remain its most popular feature, it has other capabilities, such as streaming music and even making calls. So what does the future of Apple have in store for this popular device? To complement Apple Watch’s fitness-related features, expect to see some new health-related apps. Apple has plans to make its smartwatches not just convenient, but potentially life-saving. Current Apple Watches include fall detection for elderly users, as well as heart monitoring that may serve as an early warning system for heart attacks. If Apple continues to move in this direction, Apple Watches could become far more important in the lives of many people. 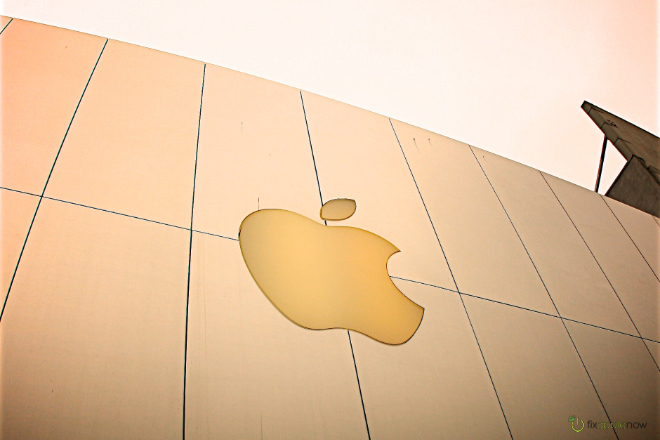 The future of Apple could include some important innovations within the healthcare industry. What Is the Future of Macs? With the popularity of iPads and smart devices, a lot of people have questions about the future of Apple’s original product, the Mac computer. Still, sales for the MacBook and Mac Mini were strong in Apple’s latest financial quarter. Clearly, there is still demand for these products. There’s also been some exciting news lately: 2019 will see the release of a new Mac Pro, Apple’s “first dedicated desktop since 2013.” Not much is known about it yet, but Apple has described it as “modular” and “upgradeable.” As the name suggests, it will be a high-end computer for professionals with some serious technological needs. The future of Apple will likely continue to include computers and devices intended for a variety of users, from professionals to more casual technology fans. The future of Apple is likely to involve a lot of convergence. The differences in form and function that define the iPad, iPhone, Apple Watch and Mac are fading. Apps running on your iPhone will seamlessly port to your Mac. That movie you downloaded to your Mac can be watched on your phone or iPad. This convergence is convenient in many ways for Apple users, allowing for new and innovative ways to use each device. Whatever the future of Apple holds, it’s sure to be exciting. This is a company that has earned its reputation for innovation and trendsetting, and we can’t wait to see what they do next.